"Goldman Nursing Services" was established in <?xml:namespace prefix = st1 ns = "urn:schemas-microsoft-com:office:smarttags" />1988 in order to meet the ever growing demand for nursing and welfare services that enable patients to continue living at home with their families while maintaining their quality of life and their dignity within the community. 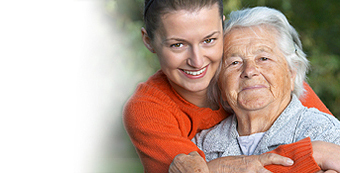 For the last 20 years, during which we have been serving thousands of families and patients, we have been working together with many public organizations, both municipal and private in the area of nursing services in Israel, in order to develop and supply a variety of nursing services that cater to the individual needs of the patient. Our professional staff includes senior social workers, specialists in geriatrics, nurses, experienced evaluators and caregivers who are both qualified and licensed. Together we strive to give a professional and efficient response that takes the unique needs of the patient into consideration. Our staff works in full cooperation with the leading welfare services, among these – social security, health insurance companies, hospitals, municipal welfare departments, sheltered housing projects, the ministry of defense and various social organizations. Individual nursing and treatment at the patient's home, 24 hours a day, specializing in the elderly population and persons with special needs. A recruitment, classification and placement department for foreign nursing personnel. This department is licensed by the ministry of commerce and the ministry of welfare. ministry of defense and the medical insurance companies. Nursing services that are given in the framework of medical insurance plans, nursing insurance plans and road traffic accident victims. Supervision, accompaniment, and nursing care for tourists and foreign residents who are in the country for limited periods of time. Counseling, guidance and patient support services while maintaining constant contact and cooperation with professional elements in the community. Professional service, accompaniment of families and assistance for handicapped children. We specialize in autistic spectrum disorders. A large, experienced, skilled and licensed staff of nursing caregivers, both Israeli and foreign, who speak various languages and are capable of responding to the client's needs, if need be, 24 hours a day. Outsourcing services, employment of hundreds of workers in the nursing field. "Goldman Nursing Services" holds the international standard given by the standardization company for quality of service ISO 9001:2000, and we are committed to giving our clients a personal, accessible and professional service of the highest quality.